A woman from Houghton Regis has been ordered to pay £230 after pleading guilty to the unauthorised use of a ‘blue badge’ that had been issued to her disabled partner. Michelle Relihan, of Blackthorn Road was fined £230 and received a criminal record when she appeared at Luton Magistrates’ Court on Tuesday, May 8. She was caught during an operation on November 30, 2017, by Central Bedfordshire Council to tackle fraudulent misuse of blue badges. Officers spotted a car parked in a disabled parking bay for blue badge holders in Ashton Square Car Park, in Dunstable. When Relihan returned to the car, officers approached her to check if she was the blue badge owner. She admitted to officers that the badge belonged to her partner, that she had dropped him elsewhere in Dunstable that day and wasn’t using it to pick him up from where she was parked. 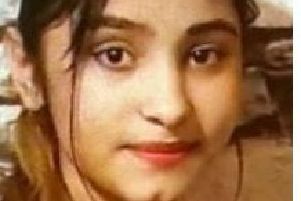 When interviewed under caution, Relihan refused to answer any questions about the matter and was not prepared to cooperate any further. Councillor Richard Wenham said: “People who illegally park in spaces reserved for Blue Badge holders are selfishly taking spaces away from those with mobility problems and other disabilities who genuinely need them. Blue badges are issued to the people in our communities who need them the most.